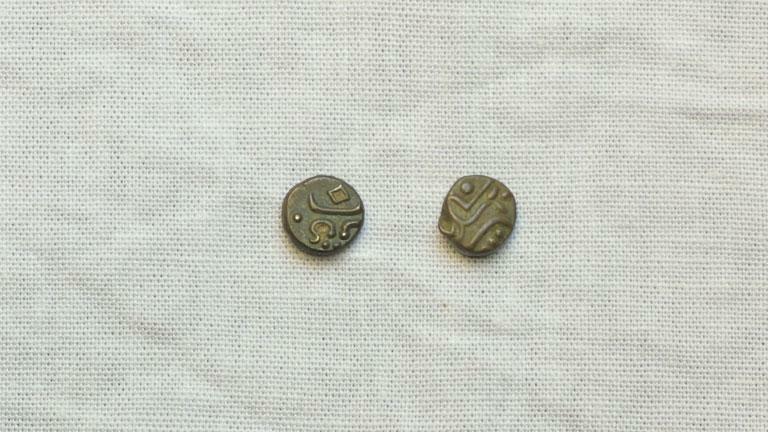 Half Vellichakram of Travancore dynasty is considered by the archaeological department as the smallest coin in the world. But many numismatists object this claim. The given exhibit is Vellichakram that belongs to the reign of Ayilyam Thirunal Rama Varma (1860-1880 CE), former ruler of Travancore. Obverse: A beautiful designed wide crescent is visible in this Chuckram. Reverse: Here twelve pellets within a crescent and two stalks of flowers within lines and dots are present.